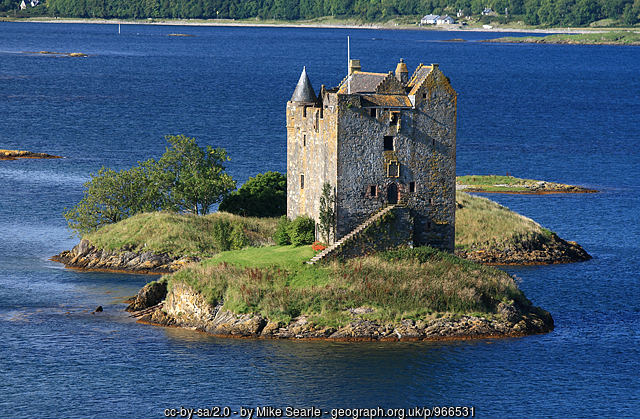 Clan MacKenzie routes bring you the ultimate experience in 7 day tours of Scotland. For 7 days of luxury travel, we will showcase the best Scotland has to offer in scenery, film locations, places of historical interest and family history. 2017 was designated the year of History, Heritage and Archaeology in Scotland but that heritage continues on and what better way to experience it than by joining Clan MacKenzie Routes who proud to be able to offer a tour which visits some of Scotland's greatest Castles along with other lesser known gems. Included: Accommodation B&B basis, Driver/guide, transport, pick up/drop off at your place of residence in Edinburgh (others by arrangement), entry to some locations, water. Exclusions: Gratuities (optional), Meals, Car Booster seats for children under 5 years. *Each tour requires a minimum of 2 people. Single supplements apply. CLAN MACKENZIE ROUTES offer a 7 day tour around the West Coast of Scotland, including 2 nights over the sea on the Isle of Skye, One night in the picturesque village of Gairloch at a country shooting lodge, One night in Ullapool and Two nights on the rugged but beautiful Island that is Lewis and Harris. Explore the splendour and culture of this part of Scotland with us. Tha sibh fàilte an-seo. You are welcome here. Included: Accommodation B&B basis, Driver/guide, transport including ferries, pick up/drop off at your place of residence in Edinburgh (others by arrangement), entry to some locations, water. This is an opportunity to visit "The Land of Outlander". As well as enjoying the locations, come and marvel at the beauty of Scotland and immerse yourself in the culture and history of the Scottish nation. (Other dates may be available - please enquire). Overnight in Dunfermline, the burial site of Scottish Kings and Queens, including Robert the Bruce. Included: Driver/guide, transport, pick up/drop off at your place of residence in Edinburgh (others by arrangement), entry to some locations, water. Exclusions: Accommodation*, Gratuities (optional), Meals, Car Booster seats for children under 5 years. Cost: £130 per person per day, plus accommodation. We no longer include accommodation but are happy to advise on places to stay depending on your budget and you pay the provider directly. We can often get preferential rates so talk to us first. *Each tour requires a minimum of 2 people. WHISKY or UISGE-BEATHA, to give its Gaelic name (translated as the Water of Life) is renowned the world over. Join Clan MacKenzie Routes on a journey of discovery through the Highlands and Islands, exploring the complexities of Scotch Whisky production and best of all sampling the finished product. We have a saying in Scotland that "Today's rain is tomorrow's whisky" so come along and enjoy a dram (or two). Slàinte Mhath. Included: Accommodation on B&B basis, Driver/guide, transport, pick up/drop off at your place of residence in Edinburgh (others by arrangement), one whisky tasting per day, water. Exclusions: Gratuities (optional), Meals, Car Booster seats for children under 5 years, Whisky tastings.